This House Wren nest is the first completed nest and laid egg clutch on the Woolwine House Bluebird Trail for 2014. I found this nest and 5 eggs on March 21. I can only guess the date of the first egg laid. 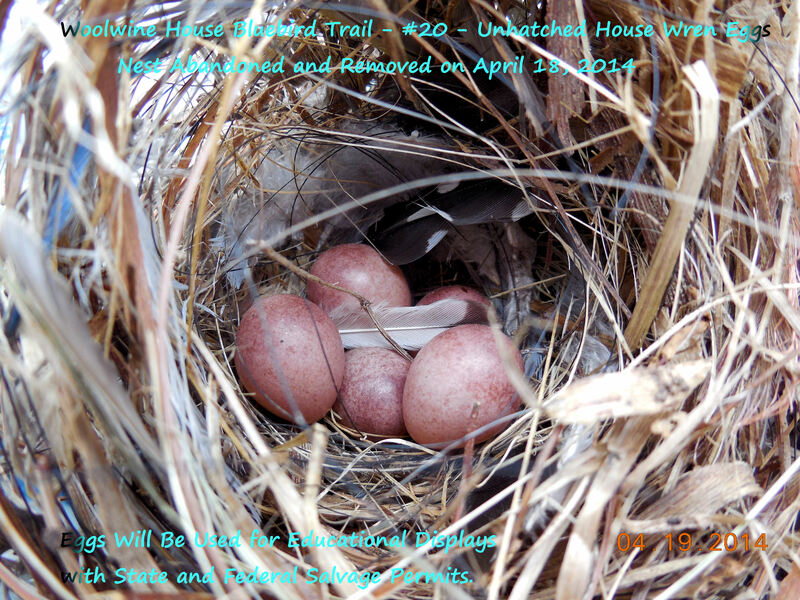 On April 18, the nest and eggs were removed and will be used for educational purposes — my display cases on my state and federal salvage permits. I also had the opportunity to move the nestbox, per the owner’s request, which was fine with me. The homeowner removed many large white pine trees last fall due to issues with falling branches during high winds and storms. This created a new opportunity, even more open habitat, so perhaps this will be better for this nestbox. Note the pretty Blue Ridge Mountains in the background. Though bluebirds used this box last year, so did the wrens. The location was open but it was still attracting the wrens and causing some competition problems. We’ll see how long it takes for this box to be reoccupied by a different species. It is never too late to change a strategy as long as you are not disturbing nesting native birds. Abandoned nest. Was she taken out by a hawk? This is a nice example of what HOWR eggs look like. They are sometimes hard to find inside their nests when inside the nestbox. After removing the HOWR nest, I moved the box on their property to here. I do like it better, how about you? 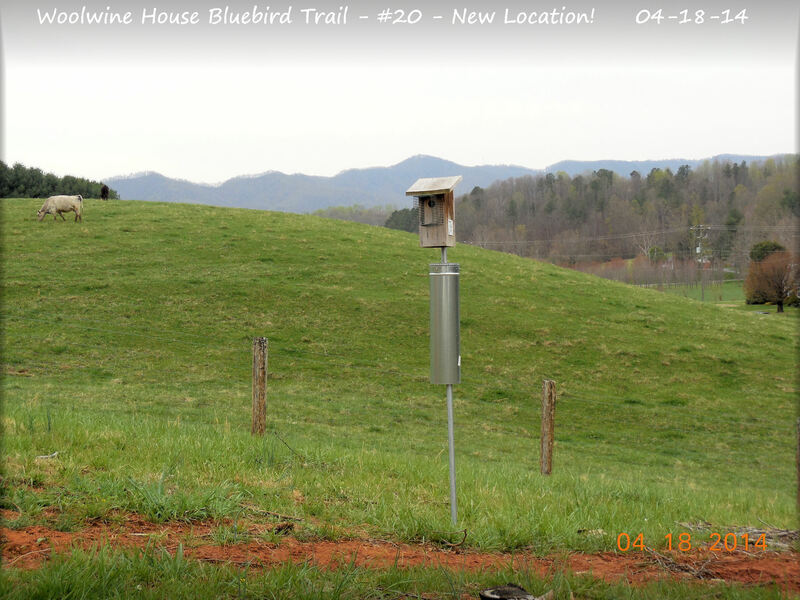 I like everything about this bluebird nest box photo. Location, Steel pole, Predator guard on pole and nest box itself. Its an awesome photo to demonstrate a proper bluebird nest box.